Medien Holding is a press trust which owns “Romania Libera” newspaper, “United Print” typography, publishing company corporate GPR ans press company specialized in home&deco Hiparion Magazines. For their new location in which the company will develop its activity, they wanted to transform the classic work atmosphere into a space that offers their employees energy and good will. 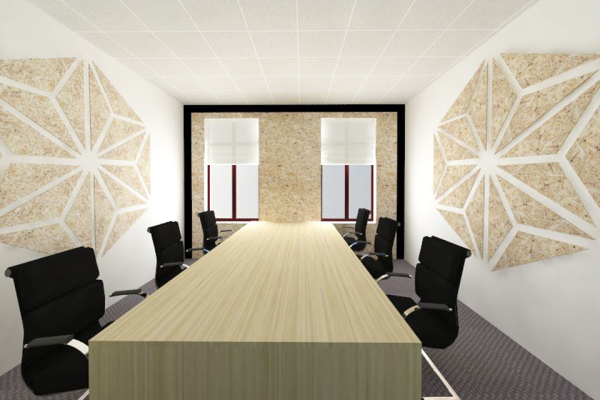 A good repartition of the different departments, considering traffic flow and points of interests, smart storage areas and representative decorative schemes of every type of activity lead to making the space more efficient, improving work productivity and, therefore, growing the results of the company.